HSBC does business in a few select regions. However, you can take advantage of their services anywhere with their HSBC OnlineSavings Account. 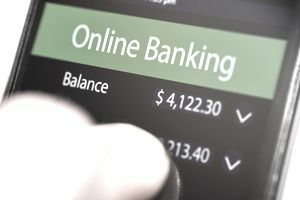 At the time of this writing, the HSBC OnlineSavings Account offers one of the highest-paying savings accounts (without imposing fees or minimums). Below you’ll find an unofficial summary of the product without rates because they constantly change. You should visit the HSBC website and read all the fine print if you’re thinking of using their services. The HSBC OnlineSavings Account is like a lot of other online savings accounts. The main attraction is the APY (Annual Percentage Yield). You can typically earn more than brick-and-mortar banks. Furthermore, there are no fees for the service or minimum balance requirements. You can literally open an account with $1. With HSBC, you keep your existing checking account and link it to your HSBC OnlineSavings account. To move money back and forth, you log in to your HSBC account and request a transfer (transfers are free on the HSBC side, however, you should check with your bank to make sure they won’t assess a charge). The HSBC OnlineSavings Account gets you a decent rate, and they also send you an ATM card. This makes it easy to get cash fast, and you can keep your daily spending money in the account – not in a lower yielding checking account. If you want to write checks with HSBC, you can link the account to a more traditional HSBC account. This will make transfers to your checking account faster than moving the money to a different institution. Even better use an HSBC checking account and zap the money back and forth quickly. There may be fees for checking accounts, however, HSBC will consider all of your balances (Mortgage, Credit Card, etc) together when they calculate how much you have with them. This makes it easy to have an interest-earning checking account with no monthly fees. Opening an account is really fast and easy. You just fill in all your personal information and wait for HSBC to make some test deposits to your linked account. The process moves fast, and your initial deposit can end up earning the HSBC OnlineSavings Account interest rate within a week. I’ve found that the customer service at HSBC is pretty good. Of course, this is unscientific and your results may vary. So far, I haven’t encountered any long hold-times and the representatives have been knowledgeable and helpful.